An expanded partnership between the UA’s College of Humanities and Office of Global Initiatives will focus on intercultural competence as part of a strategic effort to increase study abroad engagement and produce globally competitive graduates. As the university makes moves to both internationalize the campus and expand its reach around the world, the wide-ranging language and cultural expertise of College of Humanities faculty and students is an existing natural strength to align with the programs and goals of the Office of Global Initiatives, says COH Dean Alain-Philippe Durand. At the heart of the partnership are two new faculty positions centered on intercultural competence, initially funded by the Office of Global Initiatives and housed within a department at the College of Humanities. The job search is ongoing and the two new professors will begin fall 2018, with a portion of their responsibilities dedicated to developing and strengthening globally oriented programs. “We hope to achieve sustainable, stronger, and more relevant study abroad programs, more courses that are flexible and responsive to student needs and interests, and more opportunities for students to engage in global experiences – both here and abroad – that will enhance their university experiences, making them even better prepared for careers in the global market,” says Suzanne Panferov Reese, Interim Vice President for Global Initiatives. Under the collaboration, both partners will work to “redefine the character and impact of a global university” and develop teaching, research and service programs related to languages and culture. 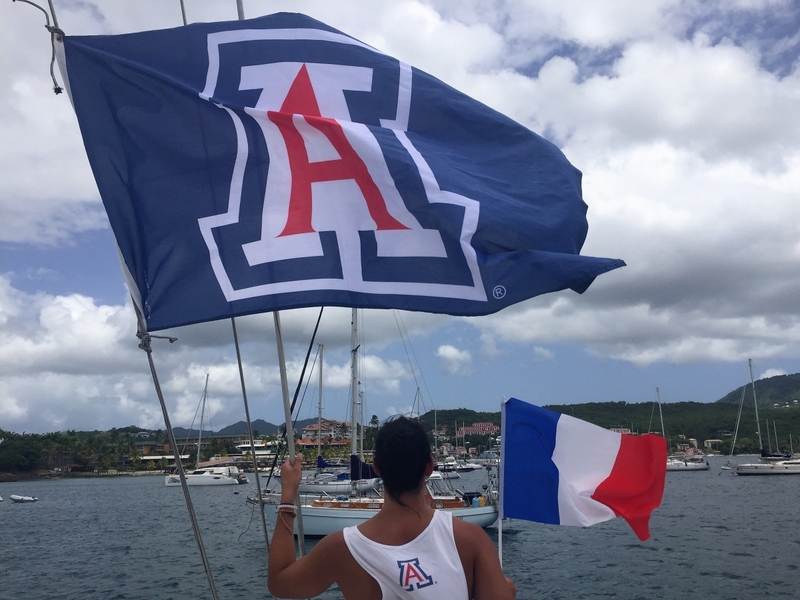 A vital component includes working with UA Study Abroad, housed within the Office of Global Initiatives, to expand international learning opportunities. “In addition to our work for all colleges across campus, we are excited to collaborate with the incredible faculty and staff members in Humanities to offer even more meaningful study abroad offerings – supported by a strong foundation of intercultural competence,” says Harmony DeFazio, Director of UA Study Abroad and Executive Director of the UA Global Mobility Lab. Other opportunities as the result of the partnership include global colloquia, service learning programs (both domestically and abroad), inbound programs, dual degrees and other integrated pathways, language immersion programs and cultural awareness programs. “Intercultural competence is critical for the UA as it is for any cutting-edge world university. In order to succeed in the global workforce, graduates need to have the ability to navigate and understand cultural differences and communicate effectively while valuing and respecting those differences,” Panferov Reese says. The collaboration extends to College of Humanities’ non-credit programs as well, including the Center for English as a Second Language, the National Center for Interpretation, the Writing Skills Improvement Program, the Poetry Center and the Humanities Seminars Program.